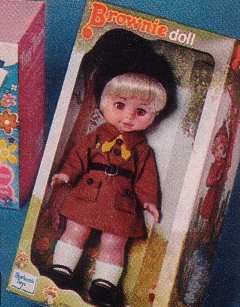 Comes with an authentic “Brownie” uniform complete with badges. It also came with rooted hair!! What does that even mean?